Although the holiday week is already over and the exam week began today, this post still says 'Holiday Week' because I promised to post this already yesterday but because of my own holiday I was able to write this just today. But here this text is now: information about traveling around Indonesia! I've already written one long blog post about traveling in some of the biggest cities/places in South East Asia (Bangkok, Phuket and Kuala Lumpur). Although there could be numerous blog posts about so many different places where to travel in Asia, this time I want to focus on just Indonesia. That's because it's really good to remember that when you're living in Bali you have plenty of opportunities to do some amazing domestic traveling which isn't possible in your home country. You don't always have to go to Singapore, Australia, Cambodia, etc. while you're living here because there's over 10,000 islands in Indonesia itself so you wouldn't get bored here even if you didn't leave Indonesia even once while staying here. So, this post is just about some different locations in Indonesia. Of course there's even more than these I'm writing about but unfortunately I can't write about every island in Indonesia (and no one would write blog post that long). So here's some of the most well-known destinations in Indonesia. These are in order from the western Indonesia to the eastern Indonesia. Okay, let's start with Sumatra where I just were during last week's holiday (unfortunately only three days which is way too short period: you would have to be there at least one week). Sumatra is the biggest island of Indonesia and it's located in the western part of Indonesia. It's impossible to give some great overall impression of whole Sumatra in a couple of sentences because the area is so big and there's so many different parts in Sumatra. You can't see and do everything there in one stay. Although I was there only three days, I loved Sumatra. It was a really great place. Most of the flights to Sumatra land in Medan which is located in Northern Sumatra in which is the main city in Sumatra. I wouldn't recommend staying in Medan (at least not for the days) because I don't think it was that interesting place: although it's one of the biggest cities in whole Indonesia so you have great chance to see there the local way of living in a big city. For me Medan was a good place to stay for few days because I wanted to see Lake Toba and Bukit Lawang and it's easy to go to both places from Medan. Lake Toba is the world famous volcanic lake. There was a huge volcano eruption in Sumatra hundreds of thousands year ago and that's how Lake Toba was born. Unfortunately at the same the eruption destroyed most of the humans at that time so Toba is really important place for the history of mankind. Lake Toba's area is huge: it's even bigger than whole Singapore. There's an island (called Tuktuk) in the middle of Lake Toba and it's a very popular paradise island to for a vacation. It takes 4-5 hours by car from Medan to Toba. Bukit Lawang is even nearer to Medan than Lake Toba. 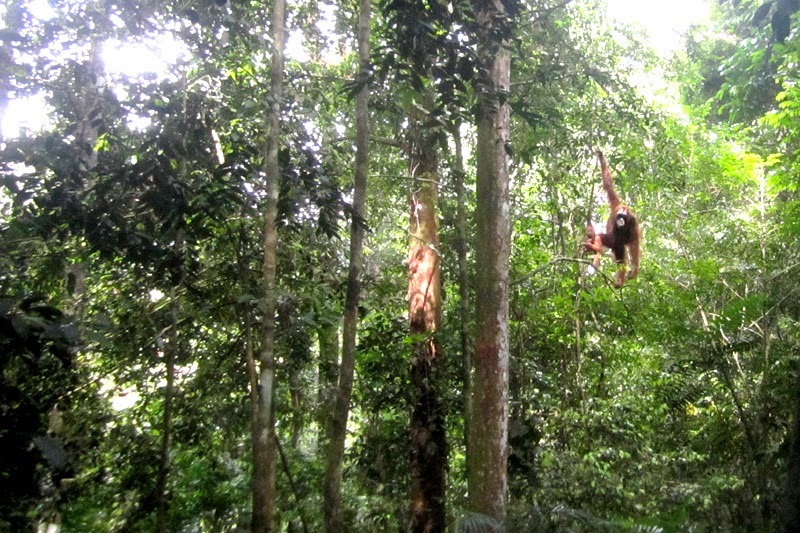 It's a big jungle area which is one the few places in the world where you can see wild orangutans. The visit to Bukit Lawang and the trekking in the jungle was one of the best experiences I have had while staying in Indonesia. I would recommend it to anyone who wants to try something like that. Of course Bukit Lawang is nowadays a kind of touristic place and there's even more wild jungles in Sumatra. But yeah, Toba and Bukit Lawang are the most well-known tourist attractions in Northern Sumatra and those places were also the ones I was most interested about while staying there for few days. Toba because of the historic meaning and Bukit Lawang because of experience in general. Still Northern Sumatra and those two places are only tiny scratch of the wholes surface of Sumatra. The nature and the culture of Sumatra is so diverse and so interesting that I can't say that I have any clue about the island in general so far. I've just heard that almost anywhere you go there, there's some great places to see. You should also remember that Sumatra is one of the most Islamic places in Indonesia which of course affects to the local way of life. While staying in Sumatra you can from north to south (or from south to north) for example by train. Java is the main island of Indonesia when you look at the amount of population. There's over 124 million inhabitants living in Java (approximately half of the whole population in Indonesia). The capital of Indonesia, Jakarta, is located in Java and so are many other big cities like Yogjakarta, Surabaya and Semarang. So it goes without saying that Java is also a huge place with numerous different parts so it's impossible to give any overall impression of it. Especially it's hard for me because I've only been in Java for a couple of hours when I changed my flight from Denpasar to Medan. Anyway, Java is a very popular trip destination. Jakarta is a real big city and many locals do have strong opinions of the capital city of Indonesia. Some say it's chaotic, horrible and even unsafe because there's too many people in too little area. Others say that Jakarta is significantly no different compared to other Asian big cities. I've heard that especially South Jakarta has great nightclubs. I hope I'll have chance at some point to visit Jakarta and actually experience the life there. Of course it's important to remember that Java is so much more than just Jakarta. As I already said, there's many other big cities but in comparison there's also some peaceful places and great beaches for surfers. Yogjakarta is famous of its amazing temples. Kalimantan is the Indonesian part of Borneo which is one of the biggest islands in the world. Most of the northern part of Borneo belongs to Malaysia - only exception is a small part of the island which belongs to Brunei. The whole southern part (Kalimantan) belongs to Indonesia. Kalimantan and Borneo in general is world famous of the rainforests which are one of the oldest rainforests in the world nowadays. The flora there is really amazing. Because of the rainforests Kalimantan is pretty densely populated and there's not many tourist attractions. That's of course the reason why Kalimantan seems to interest so many travelers. Although you can also dive in Kalimantan the main reason for traveling there is to see the rainforest that you can't see anywhere else. I've understood that the Malaysian part of Borneo is even more popular among the travelers but Kalimantan isn't bad opinion at all when you're living in Indonesia. Bali is Bali. I've already written pretty much about Bali - wonder why - and I'm pretty sure there's also more to come. So I'm not going to write that much about Bali now but I still have to say that living in Bali gives you a great possibility to sometimes just travel around Bali. Bali indeed isn't one of the biggest islands in Indonesia (approximately 5800 square kilometers) and it doesn't take too long to drive around the whole island if you want to do that. There's so much to see in Bali (you just need to leave the most crowded areas of Bali, which means Kuta, Denpasar, Seminyak, Kerobokan etc.) I suggest that you should at least visit Ubud, the volcano of Mount Batur and in overall the northern Bali which hasn't even been mentioned in Lonelyplanet although there's many great places like Lovina (where you may see dolphins). 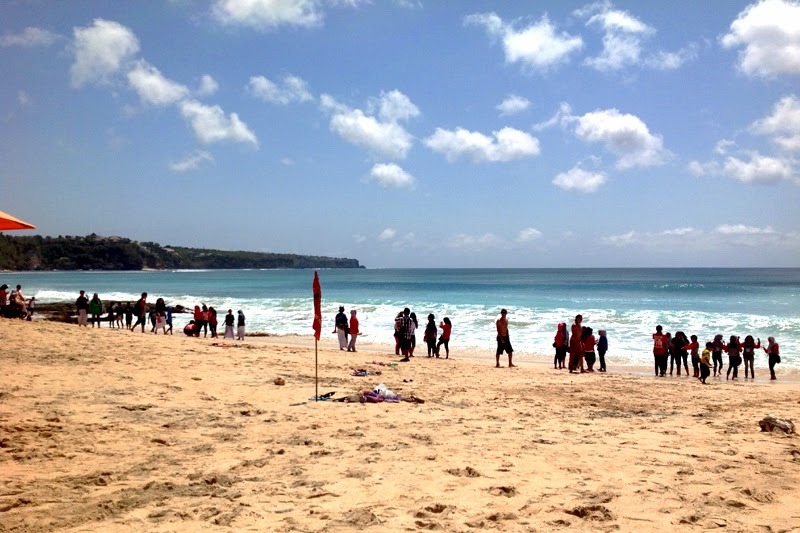 In the southern Bali there's areas like Uluwatu, Nusa Dua etc. So I can just conclude this by saying that remember to travel around Bali while staying here! Gili Islands are probably the most popular or at least one of the most popular places where our exchange students visit while staying here. It's pretty easy to understand because these three paradise islands are really near to Bali: it takes only a couple of hours to go there by speedboat. 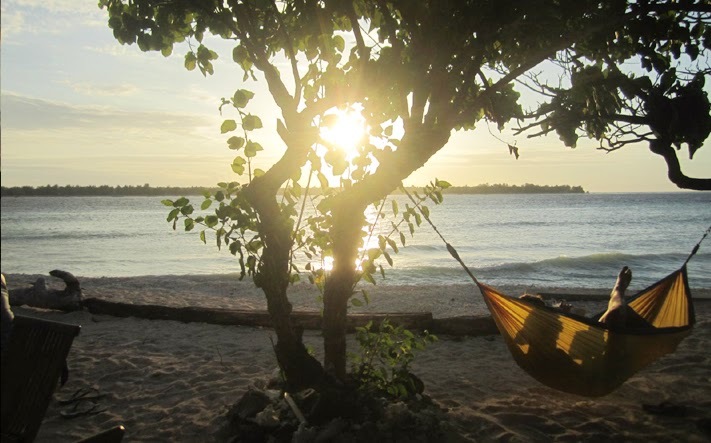 So it's really easy to go there for a weekend and just relax because you know, relaxing is definitely the best thing you can do in Gili islands - they're like designed for easy living. Gili Islands consist of three really small island: Gili Air, Gili Meno and Gili Trawangan. Trawangan is the biggest and most modern of those three. It's also most touristic and besides relaxing during daytime you have a great opportunity to have some awesome partying in Trawangan during night time. Gili Meno on the other hand is the most peaceful of these three and many consider it a honeymoon place although you pretty well can go there to just take it easy with your friends. Gili Air is something between Meno and Trawangan. Of course you can do other things in Gili islands besides laying on the perfect beaches of the islands: one of the most popular activities there is snorkeling which I can recommend to everyone. Also surfing and diving is possible there. I've been in Gili islands once and I'm going there again at least once. I have heard only good things about Lombok so I hope I'll have a chance to visit there at some point. In Southern Lombok there's awesome surfing places. The biggest cities and most of the tourist attractions are located in Western Lombok. Still maybe the most famous attraction in Lombok is the huge (over 3000 meters high) volcano. It's possible to climb there (there's a lot volcano trips arranged in Lombok) although it can bee pretty physically pretty rough experience. The trip lasts 3-4 days and every day you're going to climb more than one kilometer. Still I've heard it's worth it because the experience is pretty awesome. The flight from Bali to Lombok lasts only 25 minutes. When you go continue to east from Lombok, there's a group of small islands, like Sumbawa, Komodo and Flores. At this moment there's many boat trips arranged to that area. Boats leave from Lombok and sail all the way to Flores. The trip lasts normally four days and the nights are spent in the boat. During the trip you have the possibility to stop at the most interesting islands and you can also try snorkeling and diving - although the latter only if you have a lot of experience of diving because the place is not suited for beginners. In overall I've heard that these boat trips are really interesting experiences. There may be not much to do in those islands but mostly the visits are pretty short and you just have the opportunity to enjoy the great nature there. One of the most interesting places during this trip is Komodo where you can see Komodo dragons (the largest lizard of the world). Flores is the most significant of these islands and if you want you can travel straight there by plane. There's a lot of hotels, restaurants etc. in Flores and especially divers really enjoy staying there. Sulawesi is one of the biggest islands of the eastern Indonesia. It's easy to recognize from a map because of its spider-like shape. Actually from all of the islands I've written about in this post I know the least about Sulawesi because I haven't heard actually anything about it from other exchange students or from other travelers I've met during last two months. So if you know something about this island, send me some information. It has to be a pretty interesting place at least some way because Sulawesi is a pretty big islands and there's many tourists going there. There's also some big cities like Makassar. Internet tells me that Sulawesi is popular especially among the divers. Some even say that in Sulawesi there's the best diving places of the whole world. Besides diving you can see big mountains and experience the interesting local culture. The most eastern part of Indonesia are the small island of Timor and the huge island of Papua (also known as New Guinea). Both are politically at least a little bit unstable locations and the tropical diseases are there more common than in other parts of Indonesia. So at least you should think twice before going there (and also plan it well because it's not that easy to go there than to other Indonesian islands). Still it's possible to go there and I've heard that those are great places to see the nature and experience the culture. So of course you can go there if you want to do some 'true traveling'. At least it's pretty different compared to the life in Bali.